Ipswich Town have sacked manager Roy Keane after 20 months in charge. The club have suffered seven losses in nine games and the 1-0 defeat by Nottingham Forest on Monday left the club 19th in the Championship table. First-team coach Ian McParland will take charge of the side in Sunday's FA Cup tie against Chelsea. "I am hugely disappointed to be leaving Portman Road," admitted 39-year-old Keane in a statement through the League Managers Associaton. "When results aren't good the manager gets the sack, that's the game. "However, I have a genuine belief that we were making progress and that the players have what it takes to turn this season around." 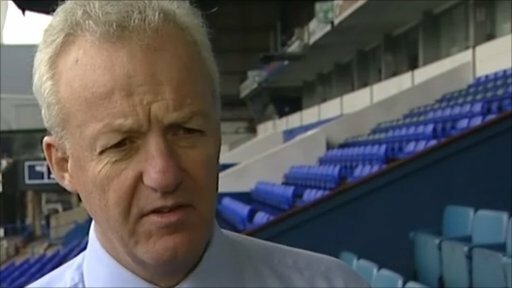 Ipswich, backed by multi-millionaire Marcus Evans, have invested £8m on players during Keane's reign. The former Manchester United midfielder led Town to the semi-final of the Carling Cup where they will play Arsenal. The first leg of their last four clash against the Gunners is due to take place at Portman Road on Wednesday, 12 January. 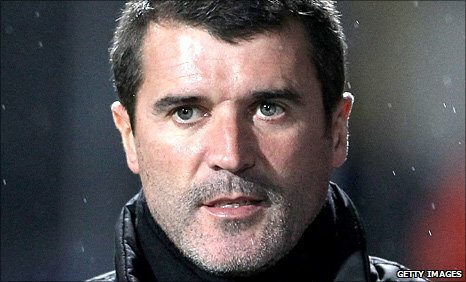 "We were preparing well for our visit to Chelsea on Sunday and then our Carling Cup semi with Arsenal," Keane continued. "Getting to that semi proves what I know the team is capable of. Evans added: "I would like to put on record my thanks to Roy for his commitment to try and bring success to Ipswich Town." And club chief executive officer Simon Clegg said: "Today is a sad day for me. I have enjoyed working with Roy over the past two seasons and I would like to thank him for his tremendous dedication and professionalism during that period. "Regrettably though, we have not made the progress that we had all expected over the last 20 months and this season in particular with the side slipping to 19th place in the Championship table." Clegg added the club hope to make a new appointment in the coming days, but said it was unlikely anything would happen before Sunday's game. Former Bradford, Sheffield Wednesday, Wigan and Derby manager Paul Jewell is the favourite to take over at the Suffolk side. Jewell has been out of work since resigning as manager of the Rams, after a 1-0 defeat by Ipswich, at the end of 2008. Keane arrived at Portman Road in April 2009, only two days after Jim Magilton was given the sack for failing to secure a play-off place. With the transfer window open and money available, was this the perfect time to look for a new manager? That followed Keane's resignation from Sunderland five months earlier, where he led the Black Cats from the Championship relegation zone to the Premier League. Given the task of winning promotion to the top flight within two years, in Keane's debut season Ipswich faced a battle against relegation after their worst start to a campaign. The Tractor Boys failed to win any of their first 14 league games but rallied to finish 15th. Last summer Keane failed in numerous attempts to attract high profile signings, with only four new faces being added to the squad. Despite a reliance on loan players and a host of injuries the 2010-11 campaign started positively, with Ipswich losing just once in their opening eight Championship fixtures. 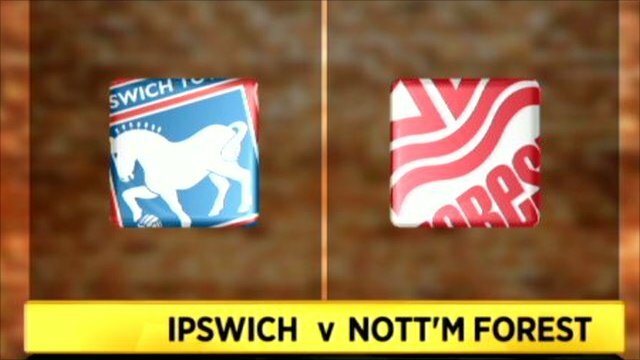 But a torrid run, including a 4-1 defeat by local rivals Norwich City, resulted in Ipswich sliding down the table. And Monday's defeat by Forest was enough to persuade Evans that Keane's time at Portman Road should come to an end. Keane becomes English football's 12th managerial casualty in a little over a month, a trend that started with Chris Hughton's departure from Newcastle in early December.